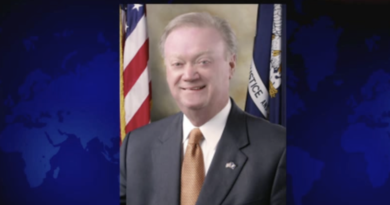 Delhi, Louisiana – The former two-term governor of New Mexico has endorsed Congressional Candidate Henry Herford for Louisiana’s 5th District special election later this month. Johnson, the 2012 presidential nominee for the Libertarian Party, said Herford would make an excellent advocate for liberty in D.C.
“Henry aims to strengthen the economy and restore freedom by reducing the size and scope of government,” Johnson said. In the 2012 election, Johnson received more than one million votes. Herford, who is also Libertarian, said he is proud to accept Gary Johnson’s endorsement. Early voting begins Monday for the special election, which will be held on Oct. 19. For more information on Henry Herford please visit HenryHerford.com.